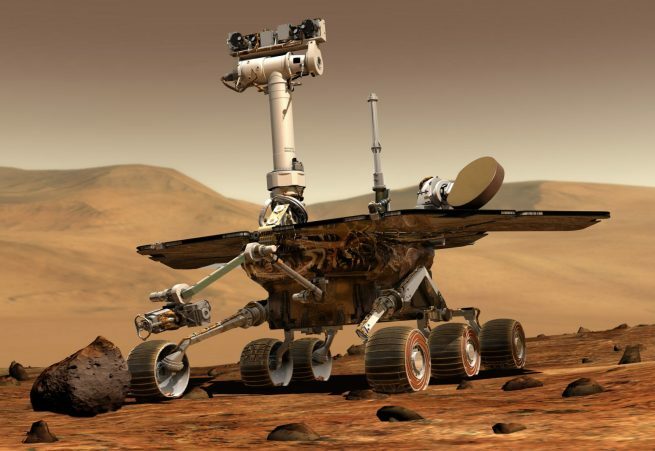 After seven months of silence, NASA is continuing to try to regain contact with Mars Exploration Rover Opportunity in the hopes that it might still be alive. This time, engineers are sending new commands to the vehicle to address “low-likelihood” scenarios that could be preventing it from communicating. Opportunity has been silent since June 10, 2018, when a massive planet-wide dust storm prevented light from reaching the rover’s solar panels. Engineers hoped the spacecraft would have responded after the storm cleared a couple months later, however that was not to be. The new instructions will not be sent all at once. Instead, mission managers at NASA’s Jet Propulsion Laboratory will send these commands over the course of the next few weeks. 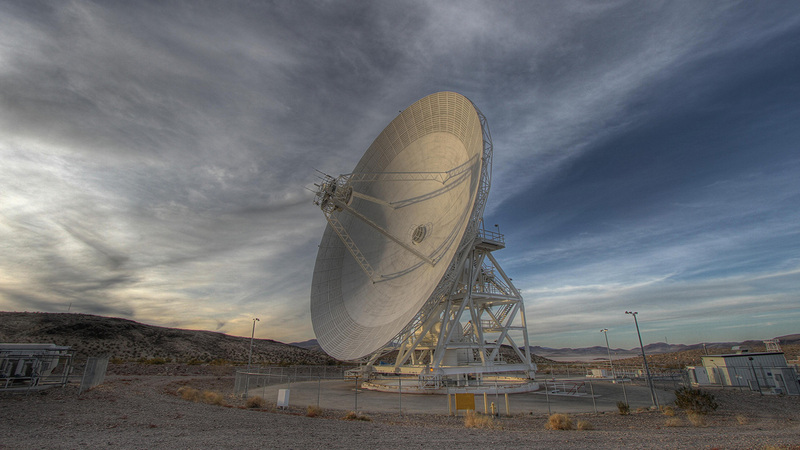 According to NASA, “sweep and beep” means engineers send commands to the rover to respond back with a beep, rather than just listening for the rover to phone home. These new commands address low-likelihood events. NASA said there are three possible scenarios that could be preventing Opportunity from responding. One possibility is that the primary X-band radio that the rover uses to communicate with Earth has failed. Another is that both the primary and secondary X-band radios have failed. A third possibility, NASA said, is that Opportunity’s internal clock, which provides a time for the vehicle’s computer, is offset, meaning it doesn’t know what is the actual time of day. NASA said time is of the essence for the rover team. “Dust-clearing season,” which is a time of year that higher winds sometimes clear the rover’s solar panels of dust, is coming to a close. If there is still dust preventing Opportunity from charging its batteries, that window is coming to a close. Moreover, Mars is approaching southern winter. If the vehicle is not able to charge its batteries, NASA said the extremely low temperatures could cause “irreparable harm” to any unpowered batteries, internal wiring or even computer systems. Opportunity has been on the surface of Meridiani Planum on Mars since Jan. 24, 2004. Since then, it has been studying the geology and chemistry of the area in order to understand the past water activity on the planet. Before contact was lost, the vehicle had operated for 5,111 sols, or Martian days, and traveled more than 28 miles (45 kilometers) — the longest by an off-world wheeled vehicle. It was originally designed for 90 sols and 2,000 feet (600 meters). 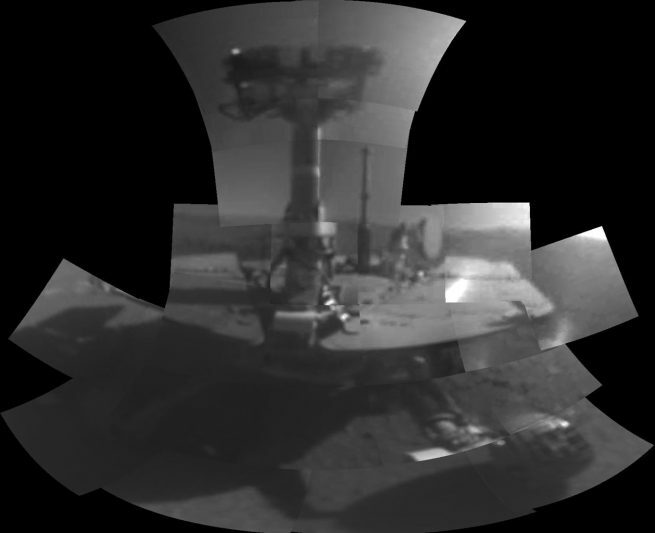 Opportunity’s twin — Spirit — landed on the opposite side of Mars in Gusev crater. It traveled 4.8 miles (7.7 kilometers) before becoming stuck in a sand trap in late 2009. It operated until March 22, 2010, when low sun angles prevented its solar panels from powering its batteries and heater before the upcoming winter season. Engineers attempted to regain contact until May 2011 before NASA announced it was ceasing communications efforts. The U.S. space agency said the excessively cold temperatures would have likely been enough to cause critical components to become damaged. 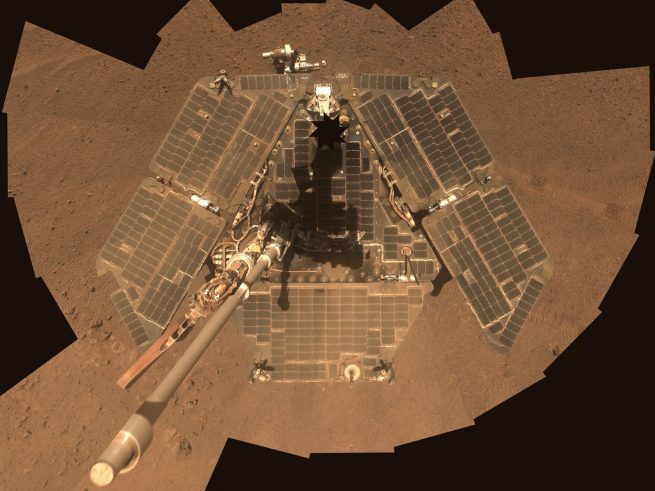 NASA currently operates two other surface spacecraft: the nuclear-powered Curiosity rover, which landed in August 2012; and the solar-powered InSight lander, which touched down in November 2018. The U.S. space agency also has three orbiters circling the planet: Mars Odyssey since 2001, Mars Reconnaissance Orbiter since 2006 and MAVEN since 2013. The European Space Agency also has two spacecraft orbiting the Red Planet: Mars Express since 2003 and the Trace Gas Orbiter since 2016. India also has a spacecraft that has been orbiting Mars since 2014.